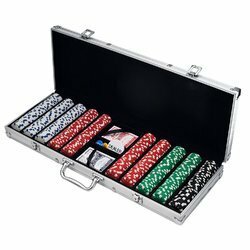 Leading Wholesale Trader of premium bakelite roulette wheel with 2 roulette balls, casino chip set, poker chip set 300 pcs, bingo housie game, casino grade deluxe wooden roulette wheel and folding chess board from Mumbai. 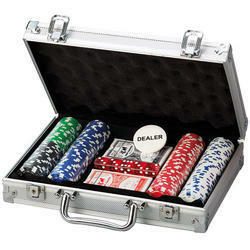 Take your game night to the next level with this high-quality, 12-inch roulette wheel! Made of durable ABS (Bakelite) plastic, this wheel is cast, machined, polished and nickel-plated. It also features a ball bearing for the load thrust and a bushing for top guidance. Professionally balanced, this steel, linear-bearing wheel comes with two plastic balls and has an inner edge decorated with a diamond pattern. Each slot within the wheel measures just over half an inch. 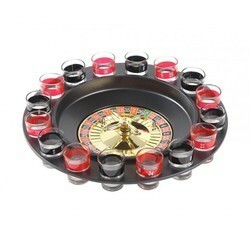 This roulette wheel spins with ease and is perfect for an at-home game night or a club party. Durable and affordable, this wheel is a must-have for roulette enthusiasts who want to bring a little taste of Vegas home. 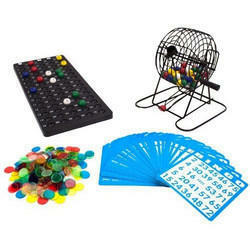 We are prominent names in this domain for offering a wide range of Bingo Housie Game. Roulette is the iconic casino game. Nothing compares to the excitement, the tension, the anticipation in the air while the wheel spins and the pill bounces, with dozens of eyes all locked in on the moment when it comes to rest in its chosen pocket. In designing this roulette wheel, we endeavored to create the truest casino experience outside of Vegas. If you live for that thrill, this is the wheel for you. Not just casino quality, not professional quality, this wheel is heirloom quality. 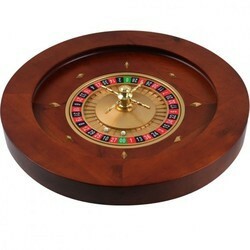 So add a distinguishing, permanent piece to your game room, or host the most lavish, authentic casino nights for years to come, and make this the last roulette wheel you ever buy. Package Dimension 320*320*80mm/12.6" x 12.6" x 3.2"
Drinker Shot Spinning Roulette Game Set is made of high quality plastic. All the 16 numbered shot glasses are separately packed in specially designed thick foam. It can avoid the glasses broken and also convenient for storage. 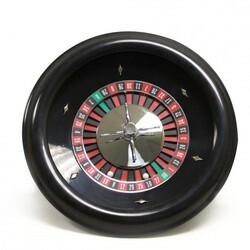 The roulette measures 11.5” in diameter and 1.5” tall. 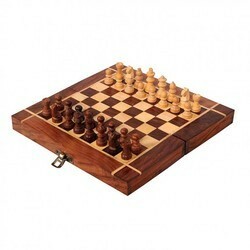 It is suitable for 2-8 players. With 2 metallic balls, you can give it a spin and let the wheel determine your fate. No matter who wins, everyone will have fun while playing the drinking roulette game! 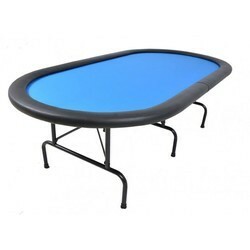 Looking for Indoor Leisure Game Table ?